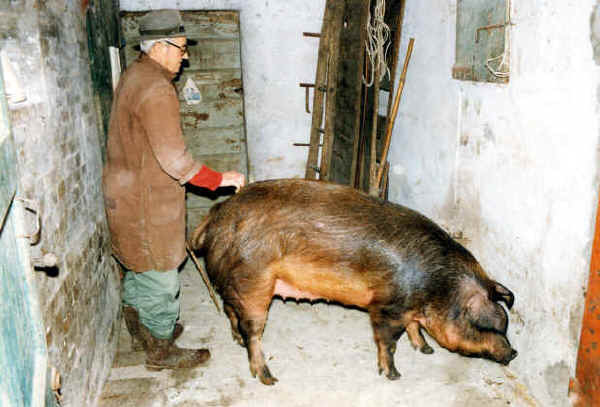 The Mora Romagnola was bred in the province of Forlì and Ravenna but also throughout Romagna. Several types are to be found on various breeding areas with different shades of colour. Once there existed various examples of Mora, the widespread ‘Forlivese’, the’Faentina’ and the ‘Riminese’, differently coloured coated from blackish to reddish, more or less dark. Until mid-50s all these populations were crossbred with local stocks of Large White, the hybrid was known as ‘smoked’. In 1918 the Mora Romagnola breed in Italy counted a number of 335,000 heads. While in 1949 they had already fallen to 22,000 heads mainly reared in the provinces of Forlì and Ravenna, all over Romagna as well. In the early 90s only 18 examples survived just in a single herd with high levels of consanguinity. Then WWF Italia in collaboration with the University of Turin have decided to carry out a recovery plan of Mora Romagnola breed. 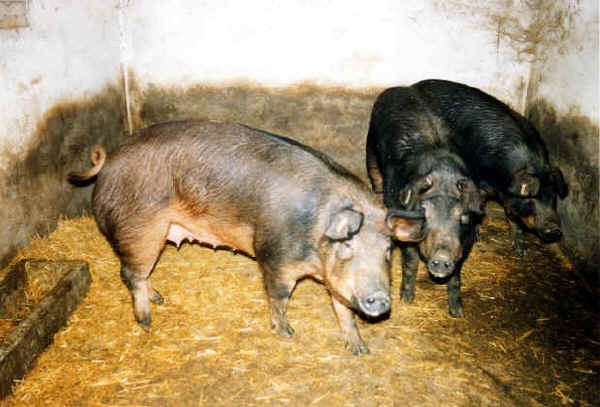 Today there are dozens of registered Mora Romagnola breeding farms, most of which in Emilia Romagna. Colour: dark brown turning to black.